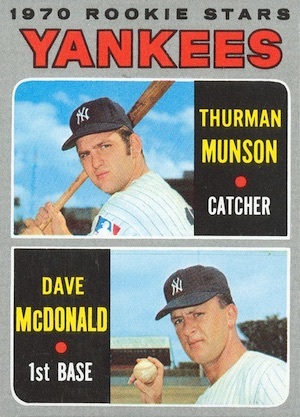 Headlined by the rookie card for Thurman Munson, 1970 Topps Baseball offers a rather underwhelming start to the new decade. While the design is not likely to impress, the incredible size of the checklist is arguably the most noteworthy aspect of the release. 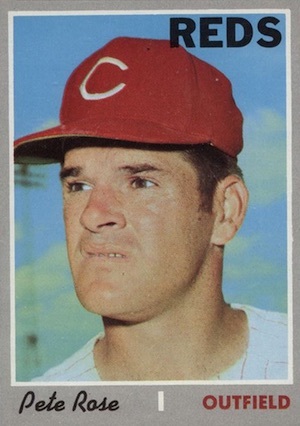 1970 Topps Baseball consists of a staggering 720 cards, the largest set from the company to that point in time. 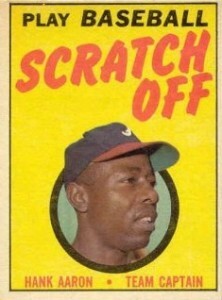 Unfortunately, the unremarkable card design is also one of the most forgettable in the entire history of Topps. Shop for 1970 Topps Baseball cards on eBay. 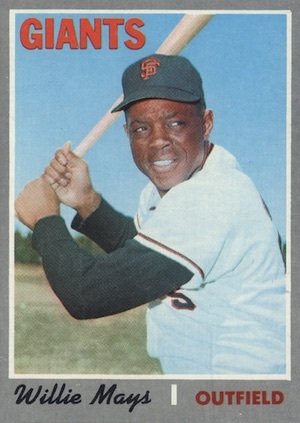 The base card design in 1970 Topps Baseball consists of a posed player photo that is surrounded by a nondescript gray border. The team nickname is located in the upper right-hand corner of the image, while the player's name and position are set outside the photo along the bottom edge. Uninspired and unflattering, to say the least, the problem is compounded by the popularity of card designs in previous and subsequent years. 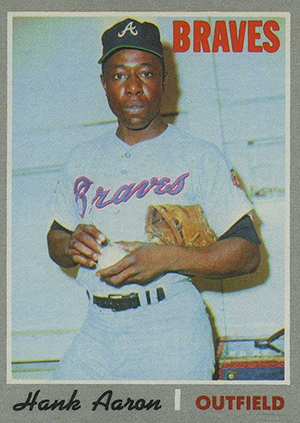 As a result, the 1970 Topps Baseball card set is largely forgotten in comparison to those from other years during the period. The brightest part of the the card's design is on the back. A vibrant combo of blue and yellow are used for the customary biographical and statistical information, providing a stunning contrast to the front of the card. 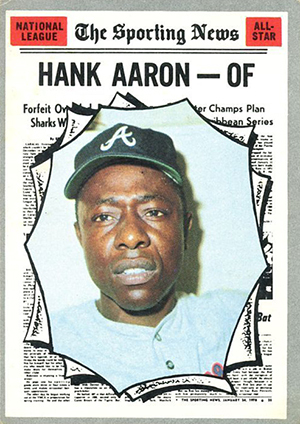 In addition to familiar subset options, including League Leaders (#61-72), World Series Highlights (#305-310) and The Sporting News All-Stars (#450-469), Playoff Highlights (#195-202) make their debut in 1970 Topps Baseball. The cards present a summary of the inaugural NLCS series between the New York Mets and Atlanta Braves, and the first ALCS series between the Baltimore Orioles and Minnesota Twins. There are also generic series checklists, team cards and multi-player Rookie Stars cards. Devoid of any key Hall of Fame rookie cards, Thurman Munson is the top rookie option in 1970 Topps Baseball. Less-heralded players with rookie cards in the set include Vida Blue, Bill Buckner, Hal McRae, Bill Russell, Larry Bowa, and Darrell Evans. Released in a total of seven series, the high-number cards (#634-720) are slightly more difficult to find. 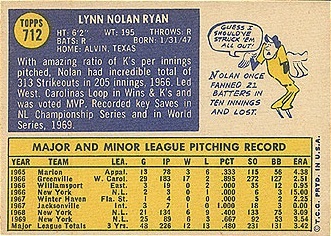 Near the top of the list, the card for Nolan Ryan garners the most attention. 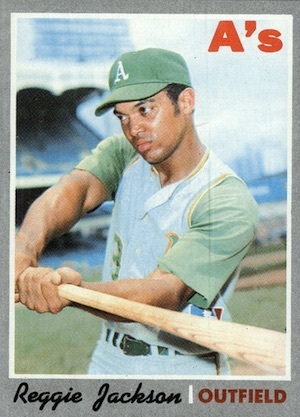 Also notable, collectors gravitate toward the sophomore card for Reggie Jackson. 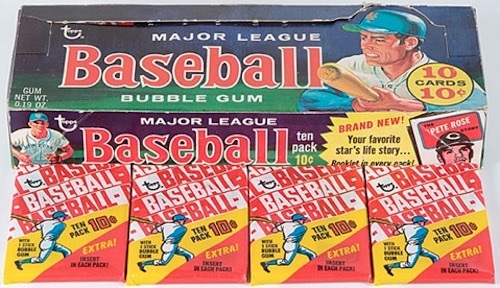 The changing times were immediately realized as the 1970 Topps Baseball set saw the first price increase for a wax pack since 1952. To lessen the impact of the jump in pack price from five cents to ten, Topps included three different insert sets. Each wax pack contained either a player biopic booklet, a poster or a Scratch-Off game card. The Booklets measure 2-1/2" x 3-7/16" and feature a picture of the player on the front, short comic in the middle, and the checklist on the back. The collectible Posters, measuring 8-11/16" x 9-5/8" when unfolded, include large color portraits as well as a smaller black-and-white action photos for each player. The Scratch-Off game cards measure 3-3/8" x 5" and include a picture on the front and are made of rigid cardboard. The backs of the cards include a scoreboard and instructions on how to play the game. 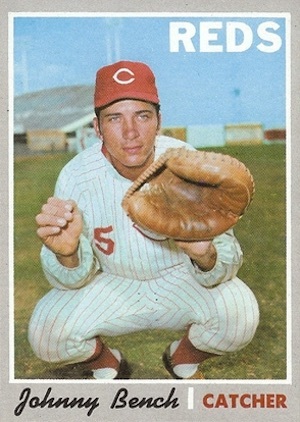 A handful of variation and error cards can be found within the 1970 Topps Baseball card set. Six of the set's checklists have different variations, however none carry any sort of premium. Additionally, the first 546 cards of the 1970 Topps Baseball set was released in Canada under the name 1970 O-Pee-Chee Baseball. 720 cards. Shop for base sets on eBay. 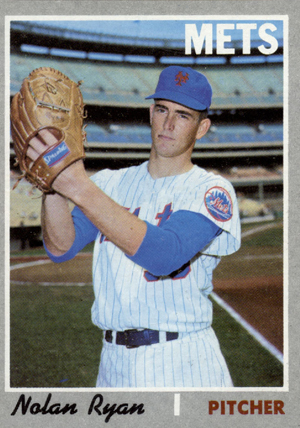 195 NL Playoff Game 1 - Seaver Wins Opener! 196 NL Playoff Game 2 - Mets Show Muscle! 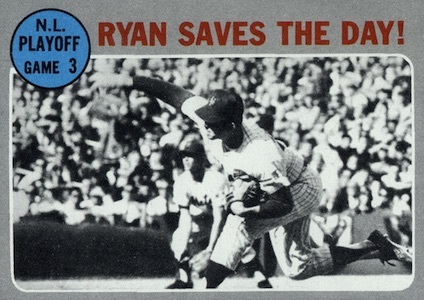 197 NL Playoff Game 3 - Ryan Saves the Day! 199 AL Playoff Game 1 - Orioles Win a Squeeker! 201 AL Playoff Game 3 - Birds Wrap It Up! 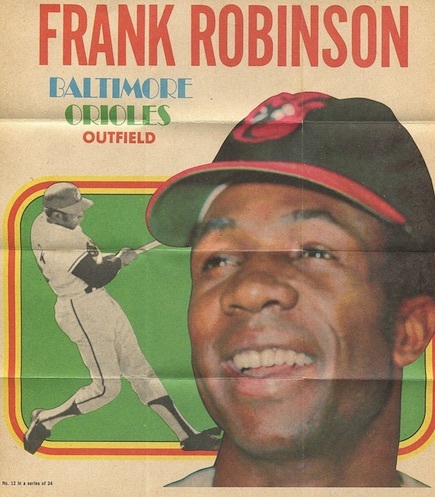 202 1969 AL Playoff Summary - Orioles Celebrate: Sweep Twins In Three! 305 World Series Game 1 - Buford Belts Leadoff Homer! 306 World Series Game 2 - Clendenon's HR Breaks Ice! 307 World Series Game 3 - Agee's Catch Saves The Day! 308 World Series Game 4 - Martin's Bunt Ends Deadlock! 309 World Series Game 5 - Koosman Shuts The Door! 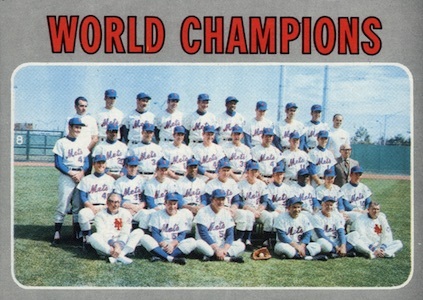 310 1969 World Series Summary - Mets Whoop It Up! 1970 Topps # 142 FRITZ PETERSON PSA 9 MINT!!! LOW POP VERY TOUGH!! Nope , I really like this year. 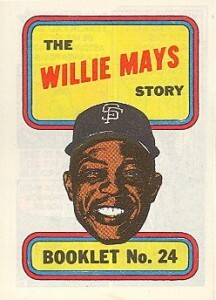 The 1970 Topps set was the first set to crack the 700-card mark, with 720 cards in the set. However, the 1970 set is not quite as interesting as the 1971 or 1972 sets. 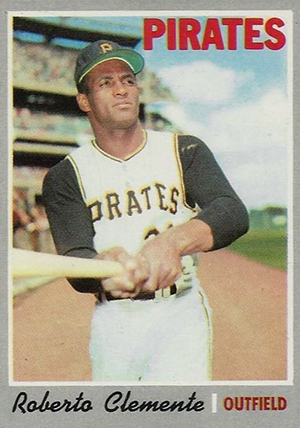 Fortunately, I managed to complete the 1970 set sometime in the 1980’s, when card prices were a lot cheaper then. Thurman Munson is the only notable rookie in the set. I never liked the grey borders and they made for a dull set. Team names are posted in white letters. The pictures are nice and maybe a different colored border would have helped these have more appeal.